When I had almost finished drafting the sequence of posts I planned to start publishing last week, I realised that it was missing the true significance of what I was writing about. I thought I could finish re-writing it in time, but it needs far more thought so I’m having to delay it by weeks rather than days. In order to focus on the re-write, I’m having to re-publish posts that relate to it either directly or indirectly. This second sequence is about the need to draw on deeper powers than instinct or intellect: this is the second post. Over the years my models for working out what to do in difficult interpersonal situations have been thoroughly tested. Even the best of them have sometimes reached breaking point. Take one of my favourites, for instance: Transactional Analysis. 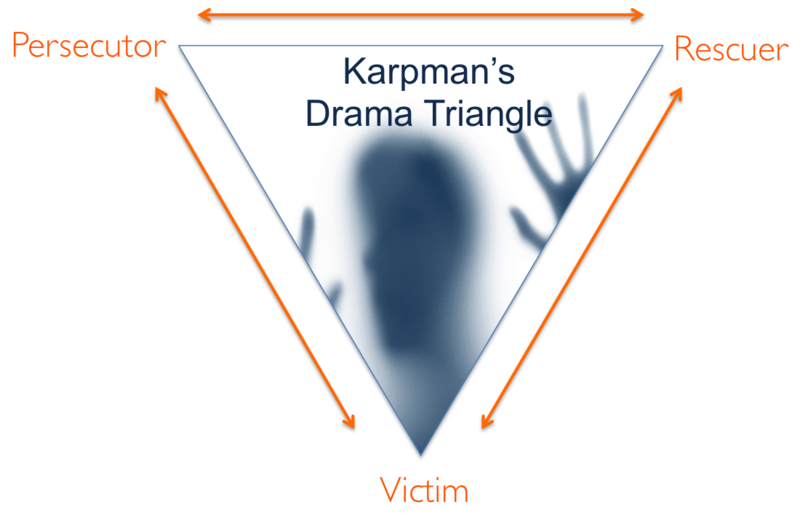 The grasp I have of my scripts and ego states, of the nature of the games that tempt me, and of the ways to apply to ongoing situations the Persecutor-Rescuer-Victim triangle that they borrowed from Karpman have occasionally left me in the lurch. Even that powerful tool from existentialist thought, reflection, has sometimes proved inadequate to the task before me, and that’s even when it was fortified by prayer and meditation as well. I haven’t wanted to go into detail about the situations that have been so testing as that would involve revealing details about other people. So I invented the story in the previous post instead. To this nest of comforts Fanny now walked down to try its influence on an agitated, doubting spirit—to see if by looking at Edmund’s [her cousin’s] profile she could catch any of his counsel, or by giving air to her geraniums she might inhale a breeze of mental strength herself. But she had more than fears of her own perseverance to remove; she had begun to feel undecided as to what she ought to do; and as she walked round the room her doubts were increasing. Was she right in refusing what was so warmly asked, so strongly wished for? what might be so essential to a scheme on which some of those to whom she owed the greatest complaisance, had set their hearts? Was it not ill-nature—selfishness—and a fear of exposing herself? . . . . It would be so horrible to her to act [in a play], that she was inclined to suspect the truth and purity of her own scruples, and as she looked around her, the claims of her cousins to being obliged, were strengthened by the sight of present upon present that she had received from them. The table between the windows was covered with work-boxes and netting-boxes, which had been given her at different times, principally by Tom; and she grew bewildered as to the amount of the debt which all these kind remembrances produced. Everyone knows of the world famous ditherer of somewhere between 1599 and 1602 (I’m not quite sure of the date the writing of the play began!) and his most famous dithering moment when he couldn’t make up his mind whether to be or not to be. If I was better versed in the Classics I’m sure I would find even the most stoic among the Greeks would have had their moments of equivalent uncertainty. So what am I trying to illustrate? Even if you had no real idea what the story in the previous post was meant to illustrate, I’m sure you got the drift that there were at least three levels of reaction or thought, along with their possible strengths and weaknesses, that I was examining: gut feeling, logic and something deeper that the story didn’t define. Now we come back to Kahneman and his book Thinking Fast, Thinking Slow. I have already looked at an area of public life, dealing in stocks and shares, where his model sheds light on the consistently poor judgements that occur. I said then that I would come back to his model to see where, though powerful, for me it breaks down. The story in the previous post was meant as a somewhat simplistic illustration of that, partly because we, like Jack, only have Jack’s point of view. But that’s something that’s often true for all of us – we only have our own perspective to guide us. We’ll be coming back to possible ways of overcoming that problem later. Given his situation at the time of the story, gut feelings and logical thought didn’t help Jack resolve his dilemma. How does that relate to Kahneman’s model? He describes two aspects of our thinking: System 1 and System 2. System 1 corresponds roughly to gut feeling or instinct, if you like. In the story, that takes the shape of Jack’s strong and immediate emotional reactions to his brother’s request for money – his frustration and anger, for example, at being asked for money to support a course of action he really dislikes. That is only one aspect of System 1’s nature. It’s very useful but it has considerable limitations. According to Kahneman System 1 responses are good at dealing with short term problems. 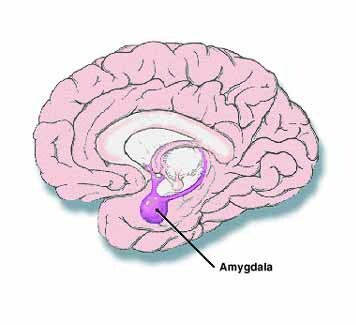 They are part of our builtin survival skills, mediated by old parts of the brain such as the amygdala, which he describes (5420) as ‘the mechanism that is designed to give priority to bad news.’ They are also derived from over learned skills and allow us both to free conscious attention up for other tasks as well as enabling us to respond quickly and effectively in complex but essentially predictable situations such as nurses and fire fighters have to deal with. It is the automatic system to which learned skills are handed over such as driving, sport, music and chess. That kind of complexity System 1 can be trusted to handle. System 1 is no good for long term problems or situations that are unfamiliar and inconsistent. It can lead to impulses and impressions that may be compelling but are also dangerously misleading. System 2 is very different. We can short hand it as ‘intellect’ and call it our Second ‘I.’ I have to agree that it immensely enhances our decision-making powers. This hint of scepticism notwithstanding it seems clear that Kahneman regards System 2, powerful though flawed, as the best hope of good decision-making at our disposal. As we saw in the story, System 1 and System 2 did not provide the means of transcending the blocks that stood in the way of Jack’s making up his mind what to do. Is there anywhere else to turn? Is there something better? And this is where it begins to be possible to question whether intuition might not lie somewhere else than System 1 and be that source of more reliable inspiration. 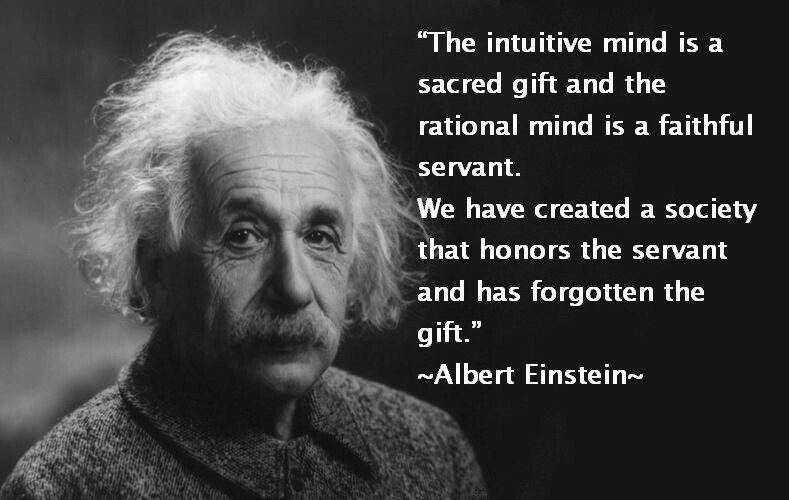 It may be true that System 2 is doubly deluded and has in fact two hidden masters – instinct and intuition. It may be interesting to explore whether the First ‘I’ is a mechanism mainly for survival in the material world and a means of making automatic the execution of over-learned skills to free up our attention for other things, whereas intuition/inspiration, possibly the Third ‘!’, is linked to the Right Brain, as McGilchrist might argue, and far slower than instinct to float to the surface of consciousness: it is non-verbal unlike System 2, and is the means of connecting us to spiritual aspects of experience. We will be returning to that in more detail in the next two posts over the weekend. I hope also to describe in a later post one possible way of overcoming the problems that arise when I have only my own simulation of reality to go on.